3FX specializes in the development and creation of 3D life science animation and visual effects for the Pharmaceutical, Biotechnology, Medical Device, Healthcare Agency and CME markets.They produce high-end medical animations for Mechanisms of Action & Disease State Pathophysiology initiatives. 3FX imagery is designed, developed and repurposed using the latest technology, creating high-end computer animated visuals, including, but not limited to: physician and patient education, sales rep training, trade show & meeting visuals, website visuals, CD and DVD leave-behinds, high resolution print materials and more. DK Publishing is world renowned for its distinctive, highly visual books that inform, inspire, and entertain readers of all ages. Publisher of the recent New York Times bestsellers LEGO Star Wars: The Visual Dictionary and Do Not Open among others, DK also publishes the award-winning Eyewitness series for children and Eyewitness Travel Guides. BradyGames and Rough Guides are also available from DK, a division of Penguin Group. 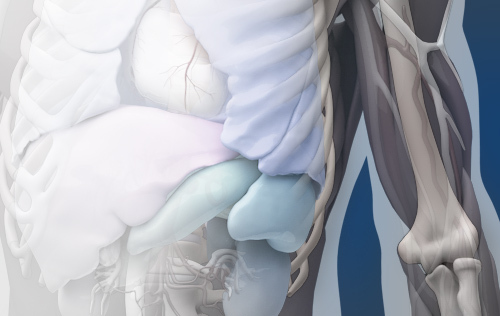 Domino Medical creates 3D animations in the medical and scientific fields, building a strong synergy between visual creativity and medical fidelity. We’re the first in Italy to create 35 minutes of full HD 3D animations with stereoscopic technology for Sanofi Aventis group. We help our clients develop their projects in all aspects of development; from animatics to production, and through finishing, with audio, effects, editing, final mastery and delivery. Our artist have spent a lot of time developing our library of custom shaders and developing proprietary scripting that helps us create the highest quality images and animations. Working “cheek to cheek” with primary care physicians and cardiologists, we have developed products that maintain strong medical fidelity. Using stereoscopic technology in our animations, we achieve a great visual result, such as red blood cells that come right out of the screen! Dragonfly Media Group is a premier medical illustration and animation studio with the technical, creative and production capabilities to create sophisticated art programs for textbooks, web applications, and multimedia projects. Dragonfly provides professional-digital-visual solutions to medical publishers and developers. Our services are custom tailored to achieve the specific objectives of each project and client. Dragonfly brings a fresh perspective to each assignment, and provides innovative ideas and solutions to challenging projects. By focusing on client needs, Dragonfly will help communicate key strategic messages clearly and effectively. With a collaborative and "hands-on" approach to all assignments, clients are assured that they will receive the personal attention and service necessary to complete their project on time and within budget. FRAME100R is a young, fast-developing company providing creative and production services to a wide range of clients in advertising, broadcasting, film making, industry, business and public administration. FRAME100R Production and FRAME100R Creative Studio activities include feature film, commercials, TV programmes, motion graphics and music and corporate videos. With the creative and post-production studio as its cornerstone, FRAME100R has one of the most experienced professional teams in the Czech media production market. Along with successful operation of FRAME100R its highly competent and competitive services have resulted in many nominations and awards at prestigious international festivals and the industry's conferences. In light of these achievements testifying to its quality service, FRAME100R claims its position among top studios in Europe. Infuse Medical has pioneered a new agency specifically designed to meet the specialized training and promotional education needs of medical device manufacturers worldwide. Infuse consists of a dynamic and growing team of experts in medical device knowledge, technology and creative; we bridge the CME gap between therapies and products. Our industry and technology research of new media is a driving factor in required custom solutions needed to meet the medical device industry's complex education and marketing demands. Healthcare leaders trust us to develop critical eMarketing, 3D Animation, and eLearning systems for their physicians, salespeople, and patients. We believe that our competitive edge is that we share our clients passion for medical technologies, and comprehend the medical science and marketplace. By blending our advanced visual technologies with solid instructional design, the 3D animations and eLearning or eMarketing content we produce are a compelling and effective extension of your brand. 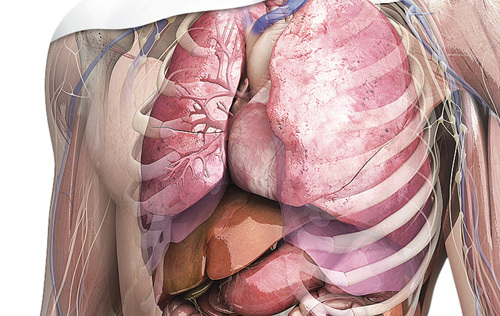 Let our 3d design team work with your internal experts to develop successful interactive medical simulations, animations, video, and training; on time, on budget. Medical Simulation Corporation (MSC) is the recognized healthcare industry leader in providing full-service simulation training, education, and consulting services to hospital personnel, medical product manufacturers, and medical societies. MSC's simulation technology and clinical curriculum are combined in a cognitive learning process brought to life by its SimSuite Clinical Educators. Through its network of dedicated hospital-based SimSuite Education Centers and mobile training platforms, MSC can provide customized training services to any location in the U.S. to serve your customers, clinical staff, and employees. XVIVO Scientific Animation creates accurate and precise 3D animations for pharmaceutical, biotech companies, medical device firms, advertising agencies, educational organizations, museums, and broadcast. XVIVO can help at all levels of production, including developing entire projects from "script to screen," handling any or all aspects of the production from scriptwriting, storyboard development, animatics, animation, programming, voice-over, custom music and sound effects, editing and delivery to final master. At XVIVO, scientific animation is all they do, and they do it very well indeed. Zoic Studios Zoic is an award-winning Digital Studio involved in producing lauded commercials and viral advertising as well as innovative content for episodic television, feature films and the gaming industry. From visual effects, to live action production and specialty shooting, Zoic Studios imprint can be seen in such compelling entertainment as "CSI: Crime Scene Investigations", "Fringe" and "Dollhouse", spots for Craftsman, HP, VW, and projects for EA, Gamefly and Sony. Zoic Studios has offices in Los Angeles and Vancouver.